By Andrea Timpano·	 1/10/2017, 6:13 a.m.
With its acres of scenic woodlands, photogenic covered bridges, and old-fashioned town green, Woodstock offers a quintessential New England backdrop for a destination wedding. But what local planner Sabrina Brown loves most about the historical locale is its walkability. “You have the ability to bring 250 guests into town and largely they don’t have to get into a car again. 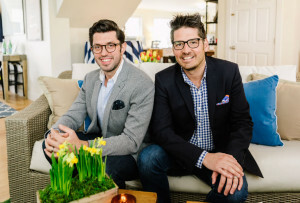 Churches and wedding sites and rehearsal-dinner spaces are all within the village,” says Brown, the owner of Woodstock Productions. 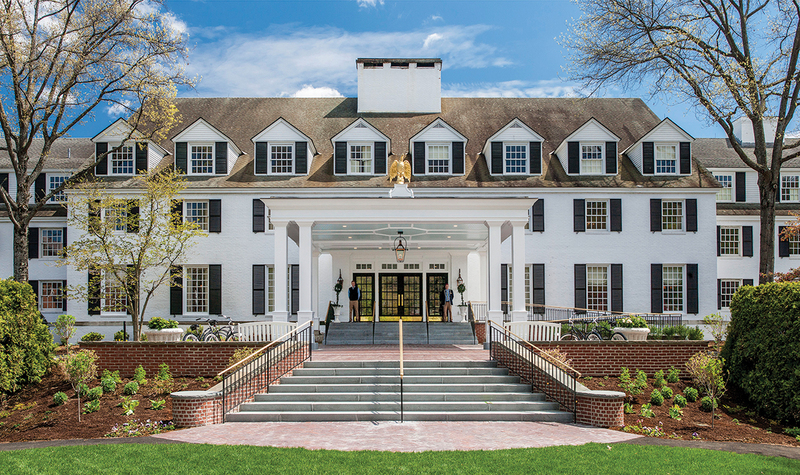 If convenience is what you’re after, tie the knot at the recently renovated Woodstock Inn & Resort, where luxe guest rooms, a top-notch spa and golf course, and a marble bar–accented ballroom turn your wedding day into a weekend getaway. 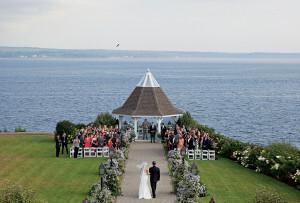 To really wow your guests, arrange for a hawk from the resort’s falconry program to deliver your rings to the South Garden, a sophisticated choice for ceremonies. 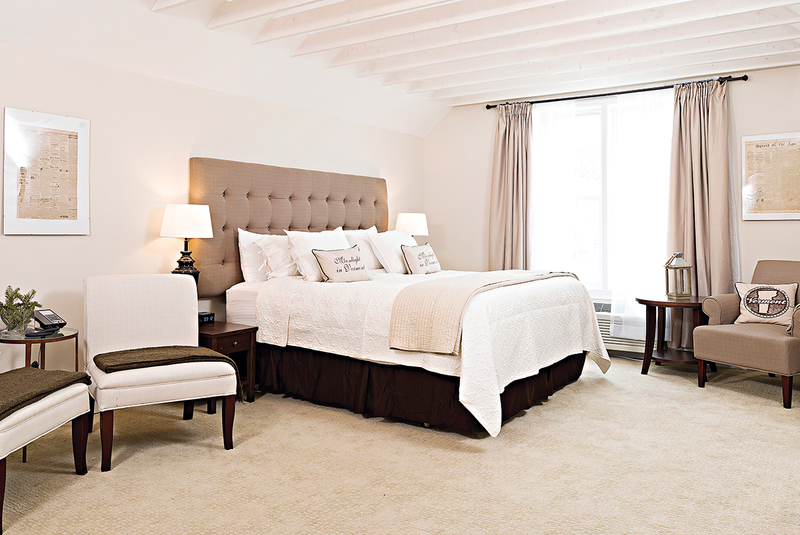 You’ll notice a similarly elegant vibe at the Jackson House Inn, just 2 miles down the road. Originally built as a Queen Anne–style home in 1890, the B & B features such period details as cherry flooring and stained glass. 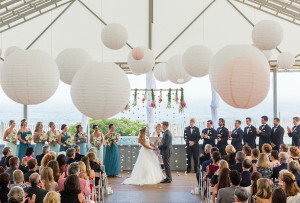 Its manicured grounds are the ideal spot to host a tented reception in summer or fall. 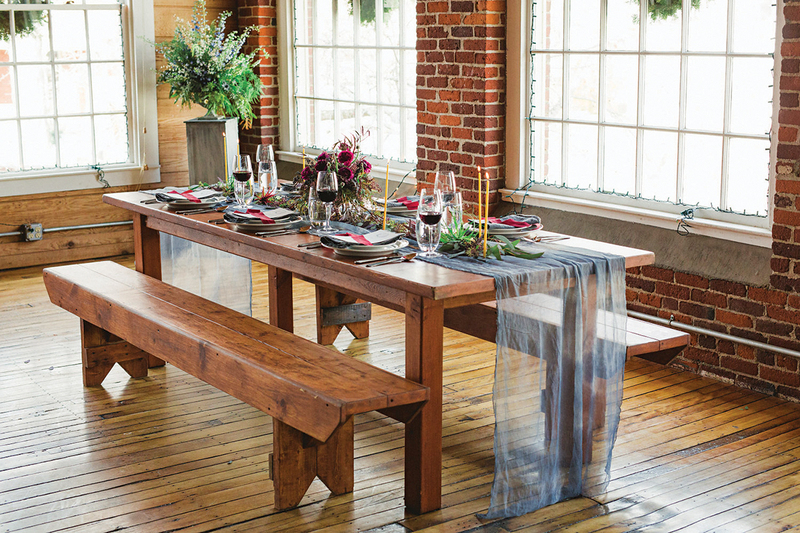 For a more rustic affair, plan a celebration inside the red barn at the Farmhouse Inn. Nestled on 13 acres of verdant meadows, the century-old gathering space is equipped with strings of twinkling white lights, setting the tone for a romantic—and memorable—evening. 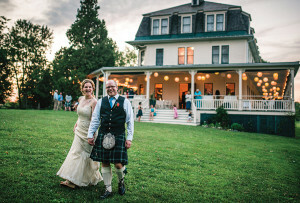 Treat your bridal party to an afternoon of exploration at Billings Farm and Museum, a working dairy farm in Woodstock. Featuring a restored 1890 farmhouse with exhibits on 19th-century living, the property is also home to cattle, horses, sheep, and oxen. Luxury abounds at Woodstock’s recently opened 506 on the River Inn, where water-facing rooms, vintage furnishings, and an indoor pool and sauna are sure to impress your new in-laws. With brick walls and large windows, the private dining space at the Mill at Simon Pearce boasts stunning views of the Ottauquechee River waterfall—not to mention top-notch American cuisine and access to the glassblowing studio below. Elevate your special day with design-forward arrangements from Woodstock-based Birds of a Flower, which creates everything from loose bouquets of passion vine and garden roses to dahlia-dotted eucalyptus wreaths and lisianthus hairpieces. Inspire guests to embark on a Vermont Cheese Trail road trip with 8-ounce wedges from Plymouth Artisan Cheese, which infuses its signature fromage with sage, garlic peppercorn, and other flavors. Tucked away on 300 acres of meadows and ponds in nearby Barnard, Twin Farms all-inclusive resort has everything you’ll need to maintain that newlywed glow after a whirlwind wedding weekend. Hole up in one of the resort’s luxe cottages—outfitted with floor-to-ceiling windows, midcentury furnishings, and an indoor stone hot tub—or indulge in a day of massages, facials, and body scrubs (try the lavender mud wrap) at the spa. Feeling adventurous? 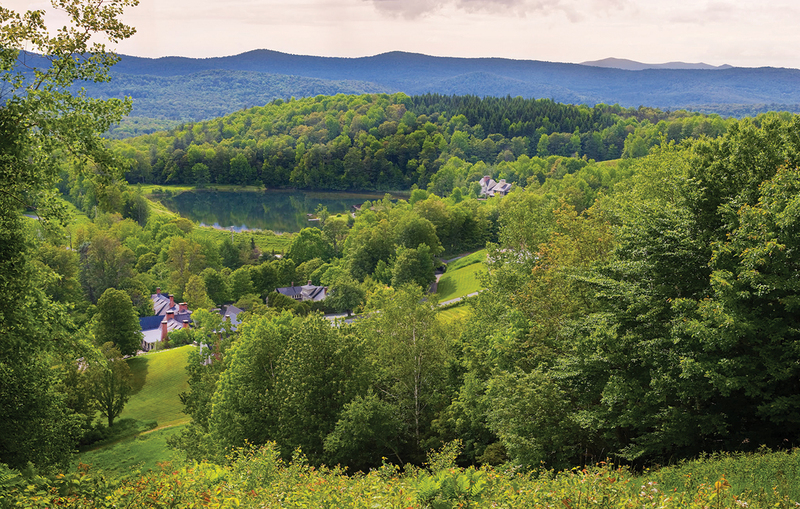 Drive down Route 12 to Marsh-Billings-Rockefeller Historic Park, where you can hike Mount Tom’s South Peak for a bird’s-eye view of Woodstock. 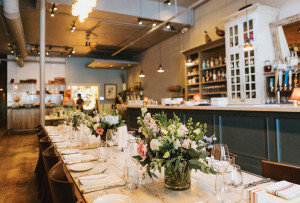 When you’ve worked up an appetite, dig into farm-to-table Italian cuisine at Osteria Pane e Salute, an intimate 16-seat restaurant and winery.